You are here: Home / Guides / Asthma and Diabetes: What’s the Link? So, what’s it like to have diabetes and asthma? Well, diabetes is a condition where the blood has high levels of sugar in it. It is normally caused by the body producing insufficient insulin. Symptoms of diabetes include excessive thirst, increased urination and blurred vision. Asthma is a condition that causes patients to have trouble breathing, because of the swelling of the lungs airways. Symptoms of asthma include shortness of breath, tightening of the chest, wheezing and coughing. So, mix these two together and that is what it’s like to have both diabetes and asthma. However, there is some good news if you have one of them, because there is some light at the end of this tunnel. Is There a Link Between Asthma and Diabetes? When it comes to asthma and diabetes, is there a link between the two? Well, we discussed what the two are and their symptoms above, so now let’s look in to the connection between the two. The answer is that people who have diabetes do have higher rates of having asthma. 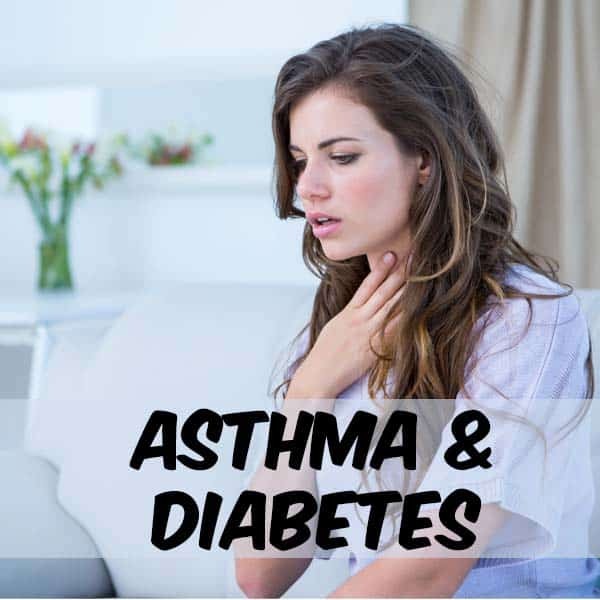 These patients do tend to have a hard time maintaining their blood glucose levels and keeping their asthma under control. Throughout the years, various studies have shown that people who have diabetes that is not under control or is poorly maintained, are the ones who are at a higher risk of developing asthma, because their lung functioning seems to be weaker than those that have diabetes that is properly controlled or maintained. On the reverse side, these studies also concluded that people who suffer from asthma are at a higher risk of developing diabetes and need to be careful. Steroids are used in asthma patients to reduce the inflammation and swelling of the airways of the lungs. The most common steroids are cortisone and prednisone. So, how do these steroids affect blood glucose levels? Basically, steroids make it tough for the body’s cells to utilize insulin. 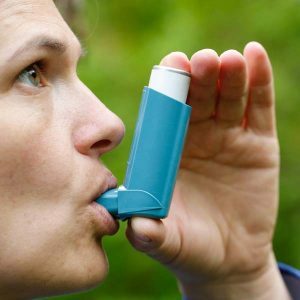 At diabetesdaily.com, user Andy957, has Type 2 diabetes, who was diagnosed with allergy-related asthma and uses an inhaler with steroids to control their asthma wants to know if other people with diabetes, who use inhalers have experienced problems? Note: this user has a Salbutamol inhaler for their asthma treatment and NovoRapid and Levemir for their diabetes treatment. Note: BG stands for Blood Glucose. User nan OH answered, “I have chronic lung issues – any time I have to use my steroid medications my BGL goes up. I don’t get upset about it anymore. If steroids keep me breathing and out of the hospital, then I will deal with a 230 BGL.” Note: BGL stands for Blood Glucose Level. Do you want to know what some of the experts are saying about steroids and diabetes? Of course, you do because respiratory experts know the facts. Corticosteroids can run the risks of severe side effects, some of these can cause additional health concerns. This method of treatment is often not recommended as a first option because it can affect other portions of the body and cause diabetes management to be more difficult. Additional steroids can cause your blood sugar levels to run much higher than recommended by your doctor. Long term use of steroids like prednisone can lead additional side effects like weight gain, mood swings, puffiness, insomnia, and difficulty with mood swings. So, one of the keys to managing asthma is to prevent an asthma attack. Get rid of mold that may be in your home. Mold is a popular asthma trigger. Avoid secondhand smoke. Secondhand smoke can cause an asthma attack. Avoid using cleaners with harsh chemicals. Fumes from harsh chemical cleaners may trigger an asthma attack. Use a cool mist humidifier in your home. These gadgets are designed to release mist into the air, making the air feel fresh and cool. Use hypoallergenic items in your home, such as organic bedding, pollen-free plants and HEPA vacuum cleaners. Use HEPA filters in your home. These filters are designed to trap irritants like smoke and dust so they are not released back into the air. Avoid colds, flus and viruses. Viral infections can trigger asthma symptoms by harming your lungs. 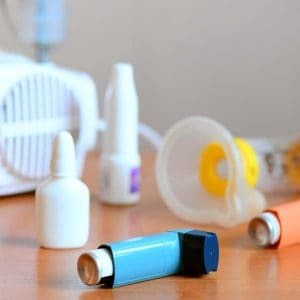 Some patients have stated that even though summer usually isn’t an issue with asthma when the pollen count is higher in some areas, asthma symptoms can be more severe. Not everyone has the same symptoms when an asthma attack is coming on. Tightness in the chest, minor headaches, tingling sensation in the throat, the feeling of swollen glands and many more. Eat a diet that consists of healthy foods like skinless chicken breasts, lean meats, vegetables, whole grains, cheese and skim milk. By eating a healthy diet, you can control your blood sugar levels better, have increased energy and maintain a healthy weight. Learn to deal with stress levels. Stress has been shown to raise your blood sugar levels. Check your blood pressure on a regular basis. You want to be sure you keep blood pressure readings at or below 129/79. Test your blood sugar levels before and after meals. Ideally, you want readings between 4 to 7 mmol/L before meals and under 8.5 mmol/L at least 90 minutes after meals. Drink green tea. Some studies have shown that green tea helps improve insulin sensitivity. Eat a diet that consists of foods that contain Omega-3 fatty acids like salmon, spinach, navy beans and walnuts. 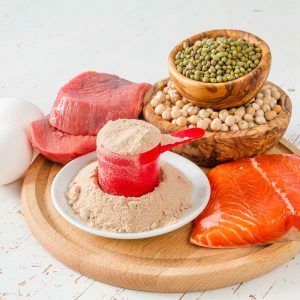 Foods rich in Omega-3 help to decrease asthma susceptibility and reduce inflammation. Avoid foods that contain Omega-6 fatty acids like butter, mayonnaise, pork sausage and sunflower seeds. Foods that are high in Omega-6 can stop Omega-3 foods from being absorbed into the body and increase inflammation. If you are currently a smoker, stop smoking. Smoking damages your lungs, making your asthma symptoms worse. Maintain an asthma journal. At the end of each day, write down any asthma symptoms you may have experienced, what the causes of these symptoms were and what made the symptoms better. You can discuss these findings with your doctor so that your asthma plan may be adjusted as needed. Avoid foods that contain trans-fat like hydrogenated oils, deep-fried foods, biscuits and doughnuts. Foods high in trans-fat put you at a higher risk for diabetes, inflammation and heart disease. Maintain a healthy weight. By maintaining a healthy weight, you can help maintain your blood sugar levels and your asthma symptoms. What About Exercise, Asthma and Diabetes? Exercise is one of the best ways to manage blood glucose levels, lower stress levels, promote weight loss and improve cholesterol levels. Exercise can also help with asthma symptoms by making your lungs stronger. Learn more about how exercise and the proper diet can help you manage type 2 diabetes here. What Else Do I Need to Know About Diabetes and Asthma? Before closing, I just wanted to provide you with some statistics regarding diabetes and asthma. 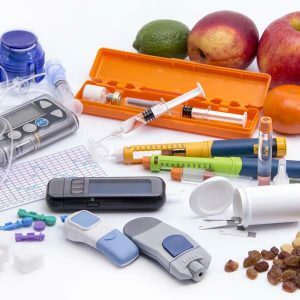 For diabetes, The Centers for Disease Control and Prevention showed that in 2013, there were 27.3 million visits to doctor offices, in the United States, with the primary diagnosis of diabetes. Also, in 2013, there were 11.9 million emergency room visits, in the United States, with the primary diagnosis of diabetes. For asthma, The Centers for Disease Control and Prevention showed that in 2015, there were 18.4 million adults (ages 18 and older) in the United States, who currently have asthma. So, the bottom line here is that if you have diabetes and asthma, the key to controlling both conditions is consistent physical activity, reduce stress levels and eat a healthy diet. I am 28 weeks pregnant and had a glucose tolerance test done because I registered 4+ urine sugar. I am yet to get the result whether I might have gestational diabetes. I am asthmatic and use my ventolin inhaler when needed. However I was put on salbutamol tablet 2 days before I registered the 4+ urine sugar for premature contractions. Ventolin has absolutely no effect on me in any of the “generic forms”. I am a type 2 diebetic who has not needed a metformin pill since 2012…yes diet and regular exercise is key. I have struggled with multiple sinus infections and of late a case of Pneumonia, of which I was sent home told to “take a day off, the bug will pass” (Thank You North Bay General hospital Ontario Canada). I have had a problem pretty steady since. I haven’t smoked in 14 years, no second hand smoke either. I have a cough, white clear frothy sputum(?) comes up. Doc wanted to give me Salbutamol (what like 4th time it’s going to work?) but I asked for some Ibproferin and have taken a cough syrup(Robotussin cough control 2 x daily400mg, 1 table spoon) cough is down out working in 32 degree Celsius for a few hrs and able to breath. I hate taking a cough suppressant, because if it needs to get out…. Not breathing has taken a toll, my exercise program went out the window and finally after 2 weeks of trying to work while having Pneumonia got rechecked and was cleared thru x-ray/bloodwork…cough has persisted and lousy feeling for another 3 weeks. Any thoughts suggestions much appreciated, and yes occasional short of breath problems since 2014.